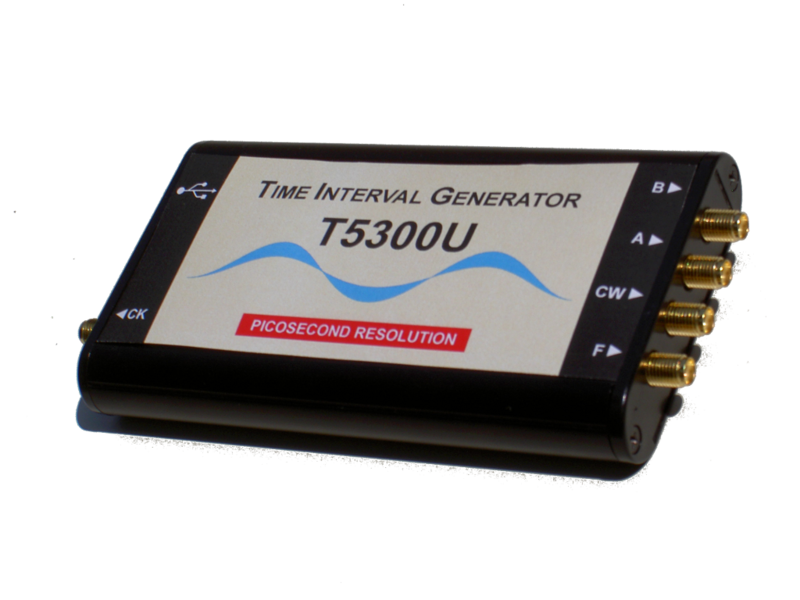 The T5300U Generator produces precise and low-jitter time intervals between the leading edges of pulses at two outputs (A → B) and simultaneously the pairs of such pulses are generated in the Common mode at a single output (CW). In the Width mode a pulse of width equal to preset time interval is generated at the CW output. Both the time interval and width can easily be varied using the mouse or by writing the needed value on the virtual control panel. 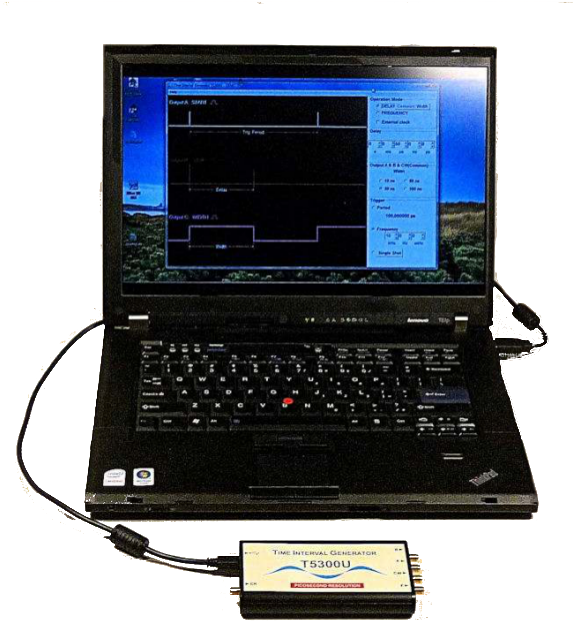 The T5300U can also be used as a pulse generator of variable frequency. The generator T5300U contains a Temperature-Compensated Crystal Oscillator (TCXO), which provides high accuracy and stability at reasonable cost. An external (for example, atomic) frequency standard can also be used (input CK). The T5300U Generator is a small box connected by the USB interface to computer (notebook, laptop, or PC). It combines the digital control and picosecond precision of time-interval generation with affordable cost and reliability for thorough industrial and scientific applications. All instrument functions can be accessed through a simple, intuitive, and user-friendly graphic interface. The supplied Programmer’s Guide allows for easy custom programming in system applications.